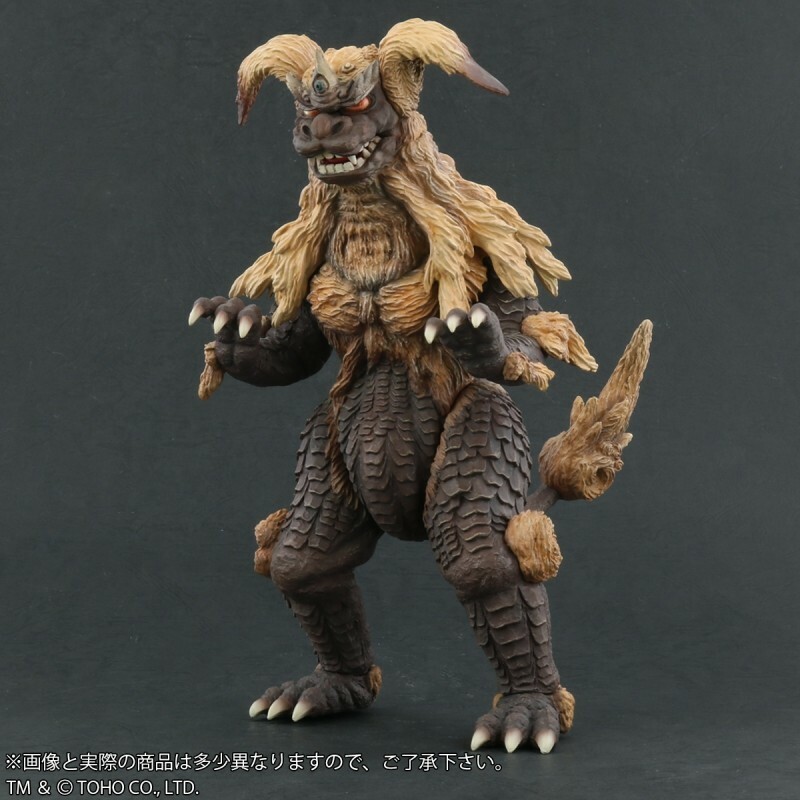 The Toho Large Monster Series King Caesar (Seesar) vinyl figure by X-Plus is getting reissued in Japan. Preorders are open now. 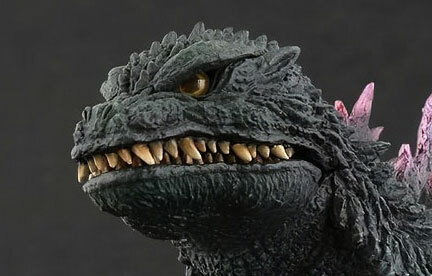 This high-end vinyl collectible features a movie accurate sculpt based on the monster’s appearance in the 1974 Showa film, Godzilla vs. Mechagodzilla. It was originally released in Japan in 2013. 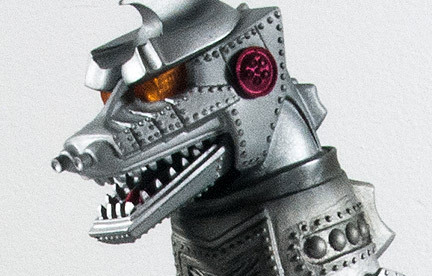 It can be paired with the previously released Large Monster Series Mechagodzilla 1974. It was later announced as an upcoming North American Reissue through Diamond Distributors. But complicated licensing issues prevented that from ever happening. BUT A JAPANESE REISSUE IS NOW AVAILABLE! But the good news is, you are getting another chance to add this vinyl to your collection (although at a higher price tag). 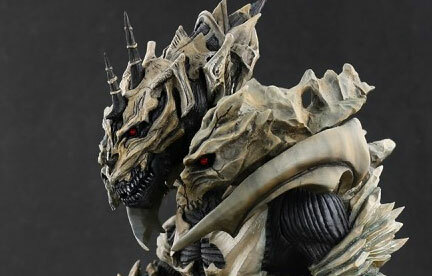 The Toho Large Monster Series King Caesar Lighting Version is now up for Preorder in Japan. This appears to be a RIC-Only release and will not be made available at general retail stores in Japan. You’ll get the figure (no extra ears or mini statue) plus a light gimmick. The eyes will flash with illumination. This figure is about 24cm (9.4 inches) tall and will come with a power supply unit which will require two AA batteries. It is available to order at the X-Plus Shoenen Ric site (Japanese only) for ¥14,040 (currently about $128 USD). If you are not in Japan, they will not ship to you so a forwarding service like Tenso.com will be required. You can very easily order King Caesar from us at Flossie’s Gifts & Collectibles (GetXPlus.com) for $159 plus shipping from Japan. A $40 non-refundable deposit is required. The shipping cost will not be available until April when they are ready to ship. The cost of shipping will be added to your order then. And the figure will be shipped directly to you by our partner in Japan. 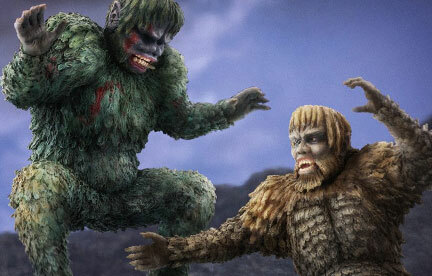 Click Here to Preorder King Caesar from Flossie’s.